A bobcat was caught on video fishing out of a small stream — and capturing a giant salmon for breakfast. The incident occurred in Washington’s Olympic National Park when Ranger Lee Taylor went out to take pictures of the wintry salmon swimming upstream against the picturesque snowy landscape, and instead came across a small, fishing bobcat. The park’s temperate rainforest encompasses the river Hoh, a prime environment for swimming salmon — and in this case, hungry bobcats. Bobcats are prevalent throughout North America and inhabit a huge range of territory, but are rarely seen by humans due to their elusive nature. They weigh on average between 14 and 40lbs, with the females tending to be smaller than their male counterparts. Pacific salmon easily weigh 10-15lbs, making for a monstrous meal for this unsuspecting, female carnivore. 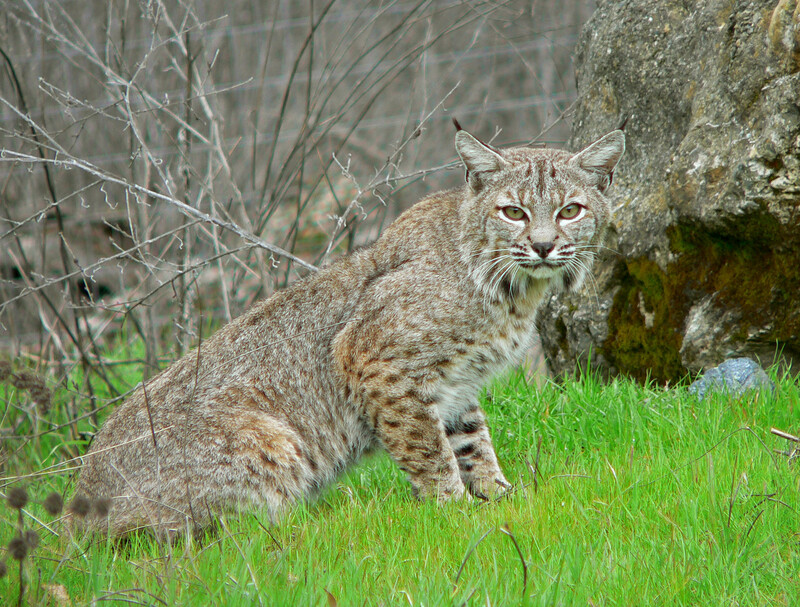 While bobcats typically prey on mice, rabbits, birds, and reptiles, they are easygoing in terms of diet selection and have occasionally been known to fish. Although they are normally crepuscular hunters, during the winter they frequently become diurnal and choose to stalk their prey during the warmer daylight hours. The park ranger stumbled upon the bobcat sitting on the edge of the Hoh and after the two silently acknowledged each other, both went back to watching the water. Lee reportedly spent about 30 minutes observing the feline stalk her splashing prey, until a final pounce and sweep of her paw sent the giant salmon out of the water and onto the shore. The ranger observed the bobcat establishing a firm hold on her captured prey, and dragging away the salmon that was half as big as she was.